Git is currently the prominent version control system used for software development. 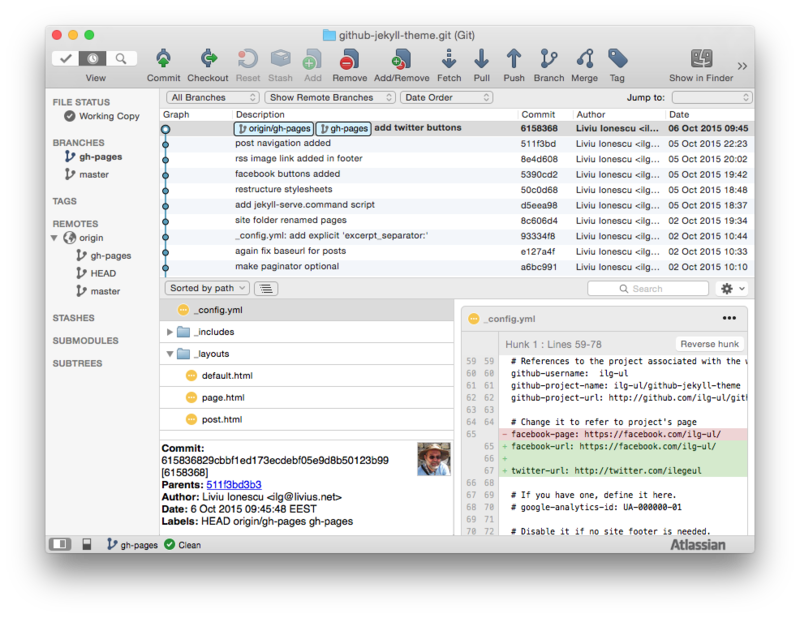 However using the command line git command is tedious, and SourceTree from Atlassian is probably the best graphical git manager available. Once a repository is selected, the main view provides access to all regular details. Usual actions are available one click away using the top buttons and more advanced actions can be invoked using the program menus. As usual with git, a good understanding of the git commands is expected, otherwise it is quite easy to damage the repository. Frankly, the program is just a nice looking coat, and no button should be pressed without clearly knowing the effects of the associated command. 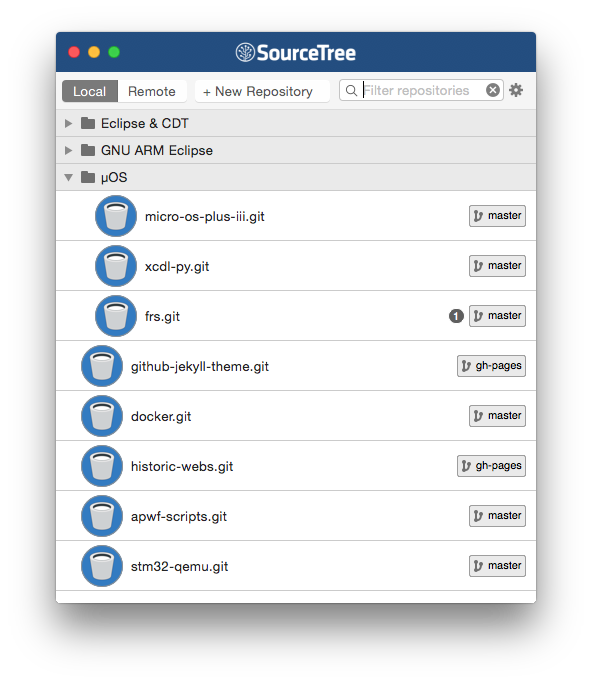 Although SourceTree works perfectly with any repository, including those hosted on GitHub, the usual GitHub workflow is relatively simple, and for most operations the single Sync button provided by the GitHub Desktop application is enough. SourceTree is available from AppStore.